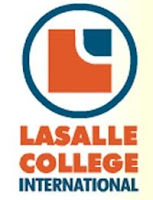 LaSalle College was founded in Montreal in 1959. 51 years later, LaSalle College Vancouver continues its legacy of providing training to students. The Montreal School of Design was established in the seventies and quickly set a precedent in Canada as the reference of Design Training. The Vancouver Campus opened in 1998, offering the quality and educational training that has been at the root of LaSalle since 1959. LaSalle College International Vancouver (LCIV) prides itself on its small class size, friendly environment, and its excellent, industry-experienced instructors. With small class sizes, learning opportunities are enhanced, and extensive instructor student interaction is able to exist. Our goal is to provide excellence in training and to assist our students in achieving their career goals in a professional, stimulating, and friendly environment. LCIV is accredited by the Private Career Training Institutions Agency of British Columbia, which entitles our students to apply for financial assistance. It offers diploma programs in Fashion Design, Fashion Merchandising, Interior Design, Graphic Design, Jewellery Design, as well as E-learning programs.